The SitNGo Wizard > Documentation > SitNGo Wizard 2 Documentation > Activating the SitNGo Wizard in Holdem Manager 2. Thank you for purchasing the SitNGo Wizard 2 (SW2). 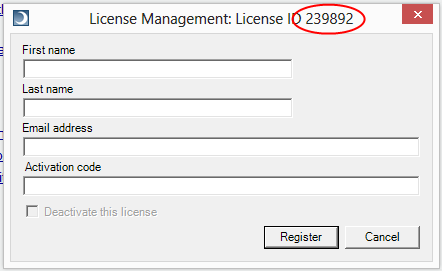 Follow these steps to activate your license in Holdem Manager 2 (HM2). 1. Make sure you are running the latest release. You can download the latest release here. 2. Open Holdem Manager 2. 3. Open the SitNGo Wizard tab. 4. Click on the My License button in the ribbon bar at the top of the Wizard window. 6. Copy and paste the your activation code into the Activation Code field. 7. Click the Validate License button. The Wizard will contact the license server to verify your activation code. 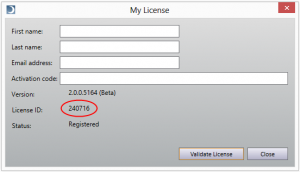 When it finishes the SitNGo Wizard window should display your license status as “Registered” just below the ribbon bar. 1. Make sure your computer’s system clock is set to the correct date. 2. Make sure your fire wall or virus software is not blocking the Wizard’s access to the internet. Then repeat the above instructions. If you still have a problem send your license ID, which you can find in the My License dialog, to support@sngwiz.com.